“How many Government Hospitals are there in Bengaluru? Could you please tell me few names?” I asked a female worker at St Johns Hospital, Bengaluru, who had a big smile on her face and looked approachable. “Umm, Victoria… Vanivilas… Jayadeva… there are a lot of them” she answered. 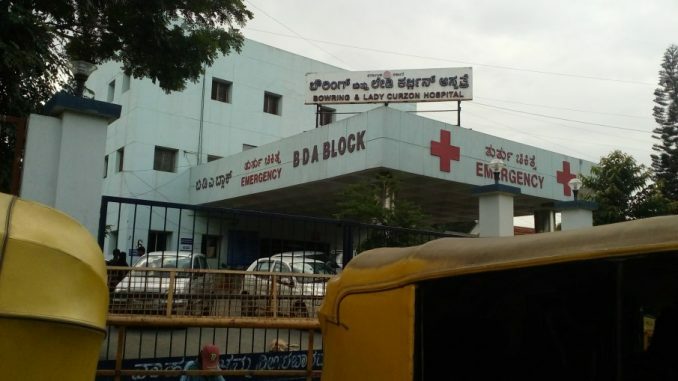 Armed with what I could glean from Google and my limited knowledge of Kannada, I was on a quest: to locate health services for women in government hospitals in the city. We had attempted the same earlier in Delhi as part of a mapping project for Hidden Pockets, which locates services around sexual and reproductive health service. We were trying to do the same in Bengaluru, to understand what that process was like for women who seek health services and be able to recommend it to women in all situations. But given our rather bleak experiences trying to figure this out in Delhi, my research in Bengaluru led to a pleasant surprise. Bengaluru Urban District is divided into four taluks: Bengaluru North, Bengaluru East, Bengaluru South and Anekal. I went to five government hospitals across the North, East and South taluks. The first hospital I visited was Bowring and Lady Curzon Hospital, a 2-minute walk from the busy Shivaji Nagar Bus stand. It is much cleaner than the government hospitals I have seen in Delhi, and guards were very helpful, and able to answer my queries. “Room No27. Yes, that is where she sits,” one guard told me when I asked where I could find a gynaecologist. “Once you procure an Admit Card for Rs 10, you can consult a doctor here” he added. I met a few, all young and helpful doctors, who told me that the facilities are provided for free. The patients also looked happy with the services. Out of curiosity I asked one of the patients who was waiting to meet the doctor outside Room No. 27, how the services were and if it was for free. She told me that the check-ups as well as the medicines were free, one needed only to pay transportation costs. She told me the doctors were helpful. To double check, I also spoke to the chemist at their in-house pharmacy. 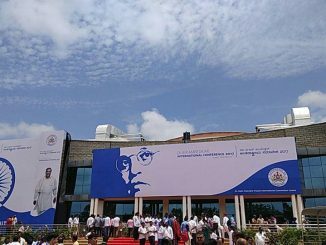 “All medicines are free, but if it is not present in the main medicine block, then we sell those medicines at 50-percent-off rates at the generic medical store under “Jana Sanjivini” scheme. This scheme involves setting up of generic stores in the hospitals of Health and Family Welfare and Medical Education,” he explained. Content with what I saw, I walked towards Government HSIS Gosha Hospital, which is a 10-minute walk from the Shivaji Nagar Bus stand. Nobody seemed to know about it and most of them referred to it as the Muslim hospital. I could spot it on Google maps, but the navigation didn’t keep up with me and I was lost. An hour later, a cab driver was able to point me in the right direction. The hospital had a big entrance and a big board with its name written on it but as I entered it was difficult to understand where the building was. I couldn’t find the entrance gate. The hospital was under construction and I could only find the Maternity ward. Rest of the hospital seemed under construction. “Gosha Hospital handles all maternity issues which includes pregnancy, women’s health issues, Paediatrics, abortion etc. Rest all cases go to Bowring Hospital which is 15 minutes walk away from here”, a helpful staff told me. Gosha Hospital also follows the same procedure, one needs to get an admit card costing Rs. 5. All the treatment as well as the medicines are free. I could see the admitted ladies were talking evening strolls at the hospital veranda. I was amazed by the cleanliness of the hospital and the smiling faces of the admitted patients made the hospital look more friendly. This hospital had more of the Muslim crowd. I tried meeting the head of the hospital for more information about Medical Termination of Pregnancy (MTP) but I was denied and was told to get my employee ID card for any information. But the helpful staff was very polite and told me one can come during morning for MTP. The next hospital in the list was the Victoria Hospital which is located close to the City Market, Fort Road. It was very easy to locate Victoria Hospital since it is one of the biggest government hospitals in Bengaluru. While searching for the maternity ward at Victoria, I found Vanivilas. It is a huge building which has all the services required in a maternity ward. I got to know that the maternity ward is called ‘Vanivilas’ and to meet the gynaecologist one needs to go to Room No. 29. “Patient needs to get an admit card costing Rs.10 and then can consult the doctor. All services are free here,” said one of the female nurses who directed me to Room No. 29. Vanivilas takes care of all the issues related to pregnancy, women’s health issues, paediatrics and abortion. At Room No. 16 one can get free tablets. It follows the “Jana Sanjivini” scheme i.e. all medicines are free, but if it is not present in the main medicine block then medicines are sold at 50-percent-off rates at the generic medical store. In my mapping study, I was also looking for one stop crisis centres (which we’ve explored previously in The Ladies Finger) in Bengaluru. These centres are intended to support women affected by violence, and to cater to the immediate medical, legal and psychological needs of the survivors of violence. In 2015, the Ministry of Women & Child Development proposed to set up 36 centres across the country with an outlay of Rs 18 crore under the Nirbhaya Fund. In the first phase there should have been one centre per State/UT. When I enquired about it at Vanivilas, I was instantly told there was one at Bowring Hospital. I did go back, and found the Women Special Ward there called “Mahila Ghataka” and found that it works exactly the same as the one stop crisis centres proposed by the Central Government. A unit was devoted to support women affected by violence. The unit had proper check-up rooms, a room for admitting the patient if required. There was provision for a counsellor, a policeman, legal assistance, a person from NGO. The unit was clean and was properly maintained. A staff from the hospital who was probably a nurse, was in charge of the unit. The staff was very friendly and approachable. She took me around and showed me the entire unit. The centre seems to operate on funds from the Karnataka state government; as The Hindu reports, the state has not claimed compensation under the Nirbhaya Fund. Considering I didn’t find a one-stop centre in Delhi, I never expected to find one in Bengaluru and was pleased to be proved wrong by Bowring and Lady Curzon Hospital. The last hospital I visited was KC General Hospital in Malleswaram. It was easy to find this hospital. Most of the auto guys knew about it. “You can meet the gynaecologist in A Block,” the guard told me. As I stepped inside the A Block and the first thing I noticed was ‘Mahila Ghataka’. I was highly impressed. The person in charge showed me the unit. It was exactly similar to the one in Bowring Hospital, but a little smaller. There was provision for a counsellor, a policeman, legal assistance and a person from NGO. The doctors were approachable. It was lovely to see how even the hospital guards knew about the unit and how they were ready to guide us whenever we asked. K C General Hospital also offers free medical assistance to its patients. In all the government hospitals we went, maximum cost incurred was Rs. 10 (admit card). The whole mapping around government hospitals in Bengaluru made me realise that public hospitals in Bengaluru are approachable. The staff is friendly and helpful. The guards were aware about the Women Special Wards (Similar to One Stop crisis centre). I would say that the government hospitals in Bengaluru are doing a good job. Common wo/man should try out the services provided by the Public Health Care. The consultation is completely free and the services are pretty fine. The above experience is of an end user. Had I missed out on the experiences by the on-field practitioners who have actually worked with these government health services providers, this article would have been incomplete. One of the practitioners felt that these health providers are good, but can do a lot better. Patients tend to offer extra payment to doctors, which has also become a forced practice now. The patients should try to understand that government hospital services are all free, and by paying the doctors extra they are creating an extra burden for those who actually can’t pay. This article, first published on Hidden Pockets, has been republished here with permission, with minimal edits. What exactly is wrong with BBPAG, and why are people protesting? What does it take for the government to organise an international conference? An IAS officer from the organising team explains. 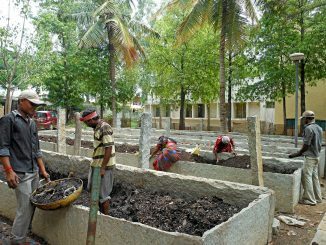 3000 tonnes of unsold compost is lying at KCDC as there are no buyers this year. The plan now is to shift city’s waste to outskirts via goods trains. More such interesting points, in the interview of Karnataka Compost Development Company Chairman Kenchegowda.